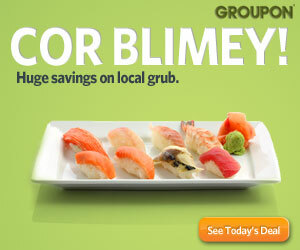 Do not miss another Flying Flowers voucher! Simply leave your e-mail address and we'll always keep you informed of new vouchers for Flying Flowers. Save 10% discount on for Nov! Offer condition: Excludes same day, international, subscription, GHK, Prima and Help for Heroes bouquets. Save 12% discount on for a limited time only! Offer condition: Exclude same day flowers, partner collections, international, subscription, plants and hampers. Offer condition: 10% discount available on all products, with the exception of Interflora/florist products. The voucher code must be entered at the time of purchase and cannot be used in conjunction with any other offer. Offer condition: Excludes same day flowers, Help for Heroes, Goodhousekeeping, Prima and international flowers. Offer condition: Excludes Sames Day Flowers, Prima, GoodHouseKeeping, International, and subscription flowers. Offer condition: Excludes same day flowers, Prima, Help for Heroes and Good House Keeping, international and subscription. Offer condition: Excludes same day delivery, Prima range, Help for Heroes range, Good Housekeeping range and subscription. 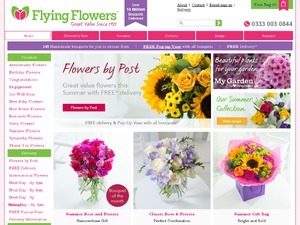 Save 10% on beautiful bouquets and gifts at Flying Flowers - all gifts arrive with FREE delivery too! Offer condition: Discount excludes Interflora, Prima, Help for Heroes, Good Housekeeping and International collections. Offer condition: Discount excludes Interflora, Prima, Help for Heroes, Good Housekeeping, International, Hampers and Plant collections. Discount also cannot be used in conjunction with any % free offer products.